How to play the revised version of Quest Paladin in the Rastakhan meta. 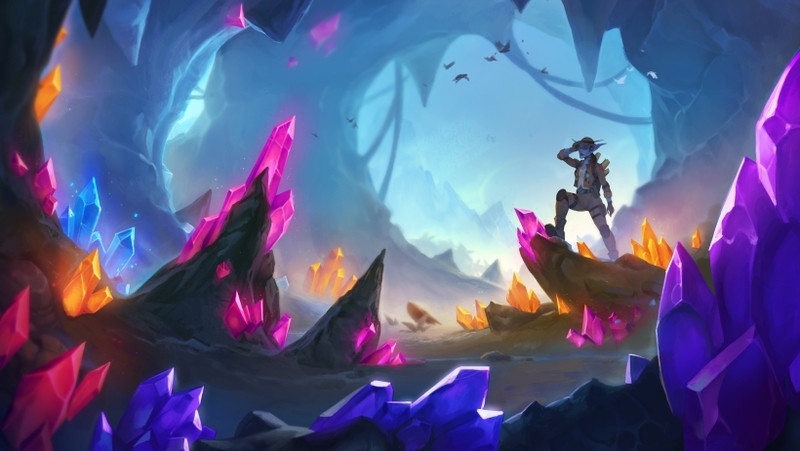 Our Quest Paladin deck list guide features the best Rastakhan deck list for Season 57 of Hearthstone (December 2018). Our Quest Paladin guide also contains Mulligan advice, card combos and strategy tips. Quest Paladin is a Hearthstone archetype that turns once again to The Last Kaleidosaur card from 2017's first expansion for its structure. Although a number of cards from the last few expansions have improved this deck's fortunes, it's still very much an off-meta affair. Rastakhan's Rumble may yet give it further viability, however. Because of its fringe nature, the current edition of our Quest Paladin guide is a little briefer than you might have come to expect from the site, but we wanted to make sure you had some form of the archetype to play with in the run up to Rastakhan's Rumble. If it proves more popular in the new meta, we'll expand on all sections of this article considerably. When we know what a refined version of the deck list looks like, we’ll be overhauling this article completely. Although it refers to a pre-Rastakhan version of Quest Paladin, you should still find the rest of this guide useful. This is the best Quest Paladin deck list that's currently seeing play, but we'll reiterate what we said in the introduction, and warn that this is a tough deck to ladder with. 2 x Sound the Bells! See the combo section at the bottom of this page for a general overview of how this deck plays out. In the next update we'll information for handling aggro and control opponents. Future updates will provide advice for handling specific match-ups. 1. The Last Kaleidosaur - This is guaranteed to appear in your opening hand, and you should always keep it. 2. Righteous Protector - A resilient early-game minion that contest the board well and stops aggro opponents from getting ahead in particular. 3. Crystology - A great source of early-game resourcing. 4. Argent Squire - As with Righteous Protector, this minion should normally get to do damage a couple of times. 5. Tar Creeper - A very stubborn board presence that should give the opponent a problem to break through. Here are all of the core combos that exist in this particular version of Quest Paladin. - First up, The Last Kaleidosaur. In order to complete this quest and gain your rewards, you'll need to cast a total of six spells on your minions. - Crystology has the potential to draw two of the following minions from your deck: Righteous Protector, Argent Squire, Tar Creeper and Acolyte of Pain. - Whenever Acolyte of Pain takes even the slightest amount of damage he'll draw you a card. There's combo potential here with Wild Pyromancer, which inflicts a point of damage to the board whenever you cast a spell. - The ever-reliable Equality / Consecration clearing combo is also present in this deck. - Potion of Heroism both protects a friendly minion with Divine Shield and draws a card from your deck and puts it in your hand. - Sound the Bells is an Echo card, which means you can cast it as many times as you want on a single turn, and as long as you have the Mana to keep doing so. - Tar Creeper's bonus Attack damage is only triggered during your opponent's turn. - Apply Spikeridged Steed to a minion and it will gain +2 / +6 stats and the Taunt mechanic. When that minion is destroyed, a 2 / 6 Taunt minion will appear in its place. - Every spell you cast earlier on in the match is cast onto Lynessa Sunsorrow as well when she's put into play.